On Friday Sept 11, Medici’s Gelateria and Coffeehouse is bringing in a fantastic comedy show starring Just For Laugh’s and Montreal Comedy Fest star Tim Nutt. Tim Nutt is a comic who can’t be judged by his cover. 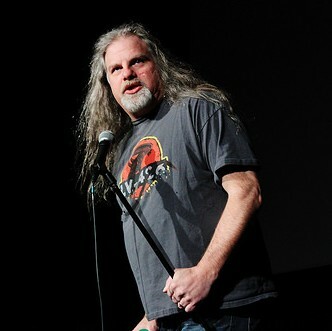 Long-haired, bearded and “rough around the edges”, audiences expect Nutt’s material to match. But he surprises with razored-down punch lines and well conjured-up premises that place him as one of the top comics working today. His appearance at the 2006 Just For Laughs was so impressive he was named one of the “Best of the Fest” and reviewers asked “where have they been hiding this guy?” The answer was, in comedy clubs across Canada where Tim has established himself as a top-draw for the past 16 years. Tim started doing stand-up comedy in Vancouver in May of 1993. After moving to Toronto in 1995, Tim worked full time as a professional comedian. He now makes his home in Kelowna, BC. He’s the featured star of the night … many more details to follow soon!